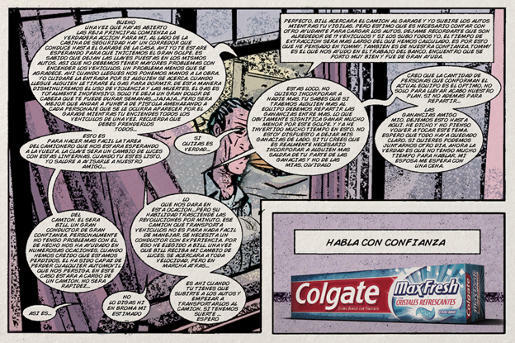 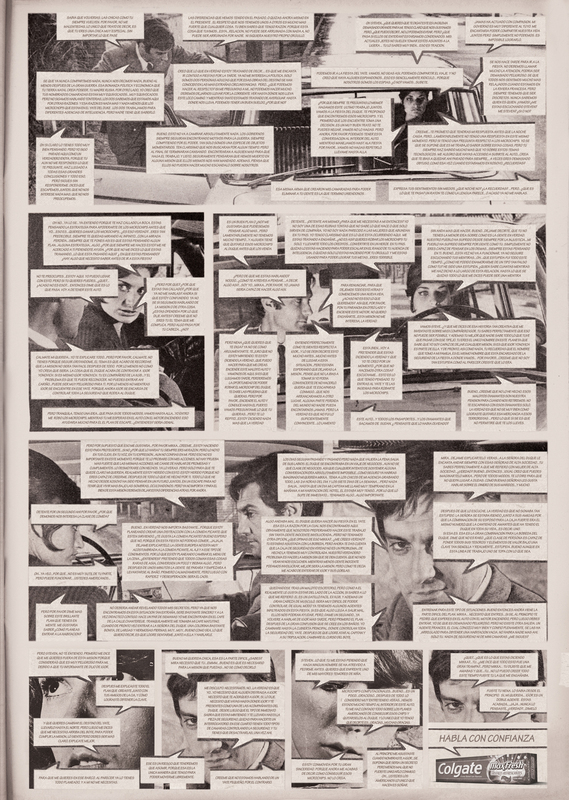 Colgate’s Comics print advertising campaign for Max Fresh toothpaste has won a gold award at the 2010 Art Directors Club Awards. 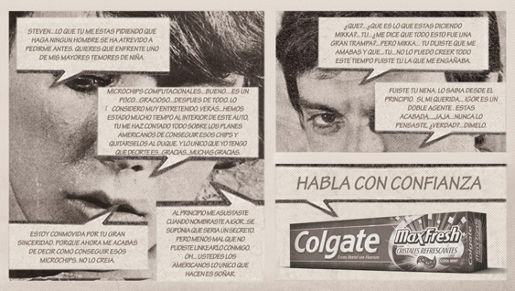 The Spanish language campaign from Chile includes three stories, “Lo sabía” (I knew), “Maldición” (Confidence), “Pedro”, with the tag line “Habla Con Confianza”, translated in English as “Speak with Confidence”. 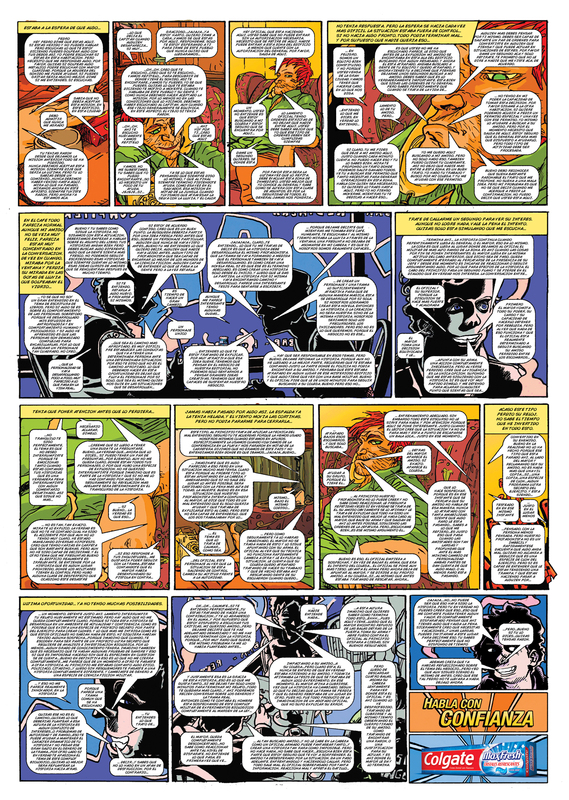 Click on the images below to see the full stories in Spanish, and the corresponding links to the English language versions. 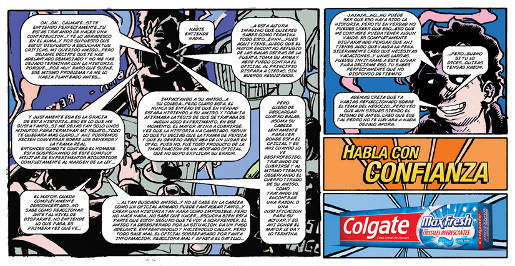 The Comics campaign was developed at Prolam Y&R, Santiago, Chile, by executive creative director Tony Sarroca, regional executive creative director Guillermo Vega, creative director Alvaro Becker, copywriters Max Konig and Felipe Utreras, art directors Fabrizio Capraro and Mihail Aleksandrov, digital retoucher/illustrator Raul Pardo, typographer Fabrizio Capraro, producer Constanza Valdés, account supervisor Juan Carlos Meza and account director Pablo Gacitúa.